Properties in Gallery Arti-Shock average 4.4 out of 5 stars. Beautifully styled new home with great view over meadows. Property 11: Beautifully styled new home with great view over meadows. Property 14: These unique bungalows look like ships' cabins. They are in dunes just 200 metres from the beach. Cosy cottage with private parking near the beach, sea and center. Property 17: Cosy cottage with private parking near the beach, sea and center. Strandhuis Jans! Cozy cottage located 2 minutes walk from the beach. 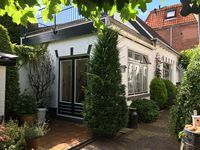 Property 25: Strandhuis Jans! Cozy cottage located 2 minutes walk from the beach. At 13 minutes walk from the beach, semi-detached cottage in quiet neighborhood. Property 43: At 13 minutes walk from the beach, semi-detached cottage in quiet neighborhood. Cozy summer house within walking distance of the beach. 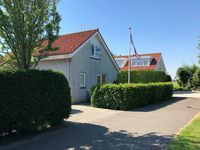 Property 45: Cozy summer house within walking distance of the beach. An extremely comfortable and clean apt with all you will need for a stay. The apt is located near to shops and all. The owner is very helpful and wants to insure there are no unanswered questions. We had the pleasure of a 4 day stay and will return if in the area. The owner was not at the house when we arrived but we were able to sit in the rear garden admiring the tulips.